The Borla Touring street exhaust for the R53 Cooper S is a great mild bump in volume output and sound. 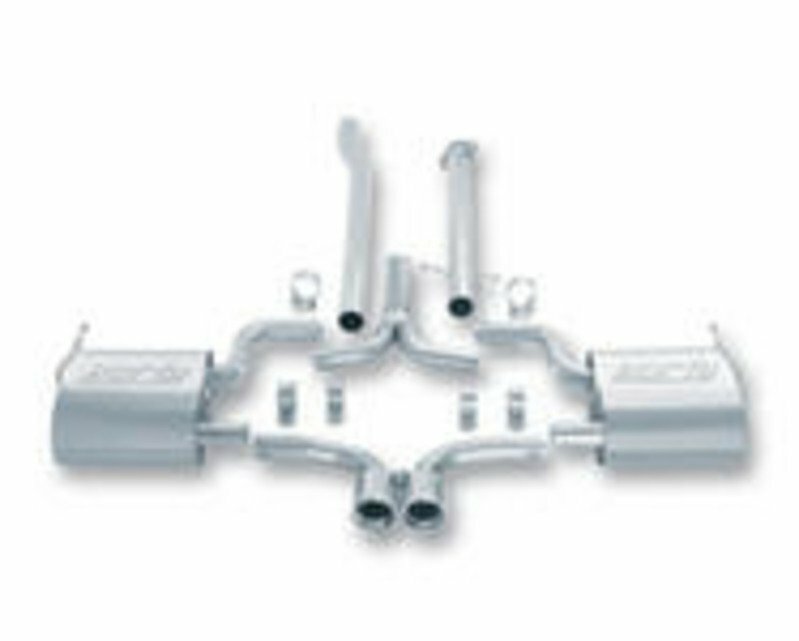 Borla makes a Street and Race version of this exhaust with the Street being a noticeable but moderate sound easily tolerated for daily driver use. The Street (Touring) exhaust is perfect for someone who wants to hear a bit more of the engine without waking up the neighborhood or annoying the car next to you in traffic. It suits the character of the Cooper S very well. Borla builds this exhaust as a full cat-back system with dual rear mufflers. It's also about 10lbs lighter than the stock original system. 2005-2008 R52 MINI MINI Cooper S Convertible.